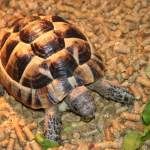 Along with purchasing heating and lighting systems for your pet tortoise, they’ll also need the use of a substrate. Now, there are two things that you should know. One is that some tortoise substrates work perfectly for them. And two, there are also substrates that can be lethal to their help. So to help you avoid purchasing bad products for your tortoise, we will help you with a few guidelines that you can follow for the sake of your pet’s health. And aside from the guidelines, we will also provide you with a list of the best substrate products for your pet. 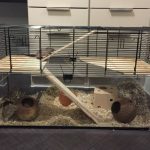 There are a lot of substrates that you can choose from when you are about to make a purchase, and when you ask which substrate works best for your pet tortoise, these would be the types of substrates that reptile or amphibian owners will recommend you with. Some of these products can cause impaction to your tortoise’s stomach. However, there are a few exceptions. You can still use some of the products if you have mixed it with other substrates like coconut coir, or if the substrates are packed into large chips, which can be too big for your pet to be swallowed. If you are planning to mix-in substrates, you can try a mixture of 1/3 of calci-sand and 2/3 of coco fiber of coconut coir. Using bare sand can cause health issues to your tortoise, but you can prevent that from happening if you have mixed in another type of substrate like the coconut fiber. Some tortoise owners will highly recommend you with reptile carpets as a substrate as it can be used multiple times. If you are considering using a carpet, then make sure that it has no loose fibers that can disable your pet’s movements. 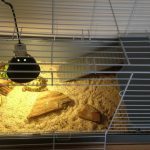 If you are planning to keep your tortoise indoors, then you should also consider adding in a substrate when setting up your pet’s terrarium. Aside from heaters, lighting systems, decoration, and other kinds of accessories, having a substrate is also essential to provide the best comfort for your pet. When placing the substrate in your pet’s terrarium the substrate should be able to fully cover the floor, and the substrate should at least half an inch thick or more. You’ll also need to have a proper composition to ensure your pet’s safety and its health. Also, whether you are planning to keep your pet indoors or outdoors, you should make sure that their terrarium is not overly moist. Overly moisturized terrarium will make your tortoise prone to infection if they have wounds, or if their skin is unhealed from shedding. Choosing a good substrate will depend on the kind of species your tortoise is. – If you are currently taking care of a baby tortoise, it would be okay if its terrarium is a bit moisturized than normal, in fact, baby tortoises should be soaked in water for at least three times a day. Baby tortoises needs to be fully hydrated, once they are properly soaked they’ll immediately drink some of the water that they are soaked in. – If you are taking care of a tortoise that needs mid to high levels of humidity, then you should choose a substrate that can hold moisture well. Look for a substrate that contains sphagnum moss, coconut coir, or peat moss. Other kinds of substrates will also work well, just avoid using sand, pine shavings, and cedar ships as they are toxic when heated, while the sand type can cause impaction on your pet. – If your pet requires a dry climate, then you can provide it with a substrate that includes dry clippings, or coconut coir. – I have mentioned earlier about the use of sand. Avoid using that kind of substrate for your pet as it might eat it accidentally, which can bring harm to its health. However, there are sand type substrates that can be ingested by reptiles without causing implications. If you are set on using sand as your pet’s substrate, then consider getting digestible sand for your pet. 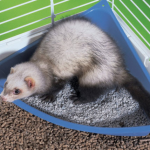 – If you are planning on keeping your pet outdoors, then the substrate wouldn’t matter much. The natural environment of the outdoors is enough for your pet’s comfort. If you want to add stimulation for your pet, you can try adding in some peat moss to the outdoor’s environment. Just make sure that the kind of substrate that you want to add in is free of chemicals, and the environment is free of pesticide. Choosing a good substrate for your tortoise will require to consider a lot of things, such as if it is good for your pet’s health, if it can hold humidity or moisture well, or if it won’t cause any implications on your pet’s health. This coconut fiber substrate is ideal for setting up a naturalistic terrarium set-up for your pet. This is also ideal for all kinds of reptiles, invertebrates, and amphibians. You can even soak this substrate with water if you want it to be a bit more damp for your tortoise, but this is only applicable if you have a baby tortoise as they need to be hydrated more. The Zoo Med’s coconut fiber substrate is made out of the husk of coconuts, this product not only works great as your pet’s substrate, but it can also be used for gardens and potted plants as a replacement. This substrate is made out of 100% natural cypress mulch, which makes it an all natural green product. This product is perfectly safe for your pet. 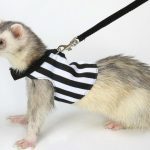 This is Amazon’s number one selling product. Therefore, this product is recommended for your pet tortoise. This forest floor bedding not only works great for tortoises, but it can also be used for other kinds of species like frogs, lizards, snakes, land turtles, tarantulas, salamanders and more. It will also make your pet’s terrarium look more like a natural environment. This is another substrate that works great for absorbing odor and retaining humidity in your pet’s substrate. It is very easy to clean, doesn’t need constant misting, does not have dust, and it can even allow a certain species of reptile to hide. 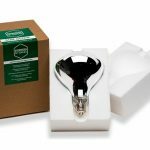 This package is packed with a compressed, chipped coconut that can expand to up to 72 quarts (2.5 cubic feet) when you add water. If the substrate is too damp for your pet, you can just dry it up under the sun until you get the desired feeling. With this substrate, your pet tortoise can maintain its desired humidity level. This is a course chip bedding which is perfect for the comfort of your pet tortoise. This substrate can provide a growth of healthy, waste reducing organisms that can keep your tortoise’s enclosure fresh in between changing. The package contains fresh coconut husks, which can help control the odor much better than other kinds of bedding. This bedding is not only ideal for tortoises, it also works great for arachnids, iguanas, snakes, tarantulas, frogs, salamanders, and more. It doesn’t contain any kind of toxic chemicals or pesticides which makes it perfectly safe for your pet’s health. Cypress mulch bedding actually works pretty well for tortoises. This product has high absorbency which can help control the humidity better. Also, the product is packed with smaller barks which can aid the natural feeding habit of your pet. 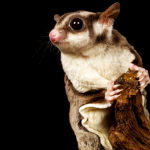 If you are worried about the package containing small critters and parasites, then worry not. It is 100% safe and free from toxic oils and chemicals, and parasites. The substrate is thoroughly washed and sieved to remove all the unnecessary tiny particles. 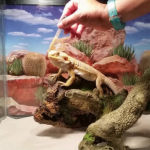 Fluker’s is one of the most trusted products when it comes to providing your reptiles, amphibians, or invertebrate’s needs. This substrate is actually what your tortoise need, just soak the bark in the water for about 20 minutes then spread them in your pet’s enclosure, and it can keep the level of humidity in an accurate level. It is also great in absorbing excess moisture and helps reduce the enclosure’s odor. If the repta –bark is too damp after being soaked, you can bask it under the sun for a couple of hours to reduce the dampness. If you prefer using sand as a substrate rather than using bark or coconut coir, then we recommend this Pro-calcium Sand for your reptiles, amphibians, or invertebrates. This is 100% digestible calcium sand that can help prevent internal and external abrasions. For extra protection, you can mix the sand with coconut coir or loam to further prevent eye irritation or impaction. If the sand is ingested by your pet, there’s nothing for you to worry about as it can provide extra calcium to your pet’s health. This is 100% natural alfalfa-based bedding which is perfectly safe for your pet’s health when ingested. It is safe for all kinds of herbivorous and carnivorous reptiles. It’s also very absorbent which helps control the moisture in the enclosure. However, it would be much better if you mixed it with coconut coir as this substrate contains too much protein. This can also dehydrate your tortoise, but as long as you only use a bit of it in your pet’s enclosure, your pet would be perfectly fine. Tortoise owners use hemp instead of aspen shaving as it is quite popular in their country, but since hemp is not available throughout the US, they use aspen shavings instead. Aspen shavings also work well for your pet’s terrarium, so this is also recommended. Kaytee’s aspen bedding contains hardwood bedding that is free from oils or inks. This is all natural and can be used in all kinds of terrariums, aquariums, and cages. The only concern on this product is that it is very dry for your pet’s liking. This substrate can either be used damp or dry depending on your pet’s needs. This is also optimal bedding for enclosure set-ups in incorporating invertebrate, amphibians, or reptiles. This also works great for all kinds of species that dwell in the desert or tropical areas. It also has great capability in retaining humidity, it can naturally absorb and break down odors and the waste products of your pet. 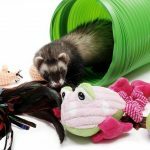 Another great thing about this product is that, if you are about the change the substrate in your pet’s enclosure, you can recycle the bedding and use it for your plants. To help you out with your purchase, we recommend that you organic substrates like coconut fiber, aspen, organic mulches, mosses, or organic topsoil. Other substrate products for tortoises can also work well, as long as you can regularly maintain the tortoise’s enclosure. Do not use beddings like pine, normal sand, cedar, small pebbles, or walnut shells, as it can cause health problems such as impaction. However, there are a few exceptions of the given products like Calci-Sand, it can be ingested by your pet so it is safe.